It’s that time of year again when I ask you to support one of my absolute favorite charities, the U.S. Marine Corps TOYS FOR TOTS. Our dedicated Marines collect gifts for our neediest children every year and with Christmas being a magical time for children, putting a smile on their face would surely warm your heart. 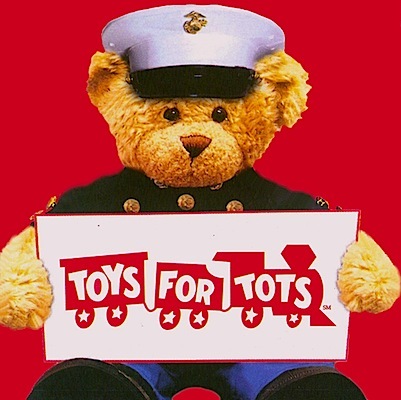 If you can afford to purchase a toy or two or three, please support Toys for Tots. For drop off locations in your community, please click here.